DMC floss just wasn’t quite bright enough for these little shells, so the floss you see is Anchor floss to match the bright shell colors. 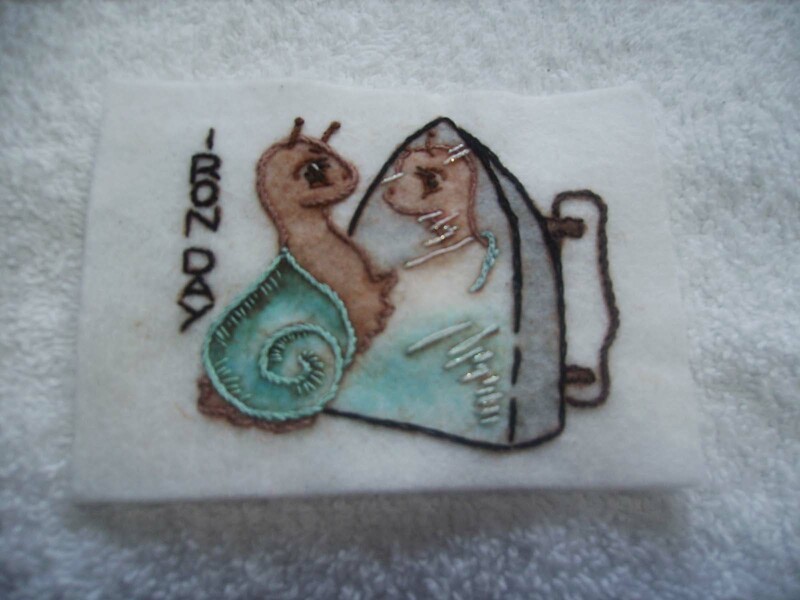 Here’s the little snail checking out his cute little self! 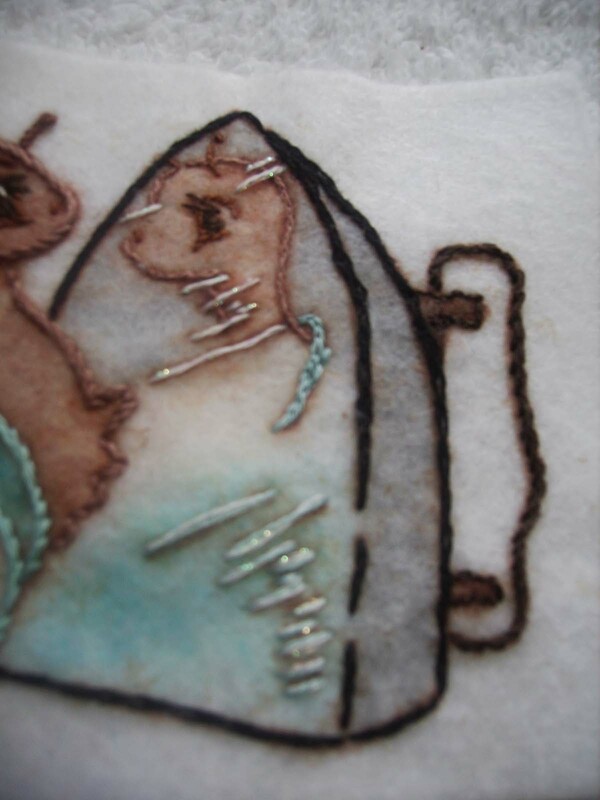 The reflection marks are stitched with one strand of silvery grey floss and one strand of iridescent Krienik thread, mixed. Use lighter tone of colors than used in the main image for the for the reflection image. Here is the main image. 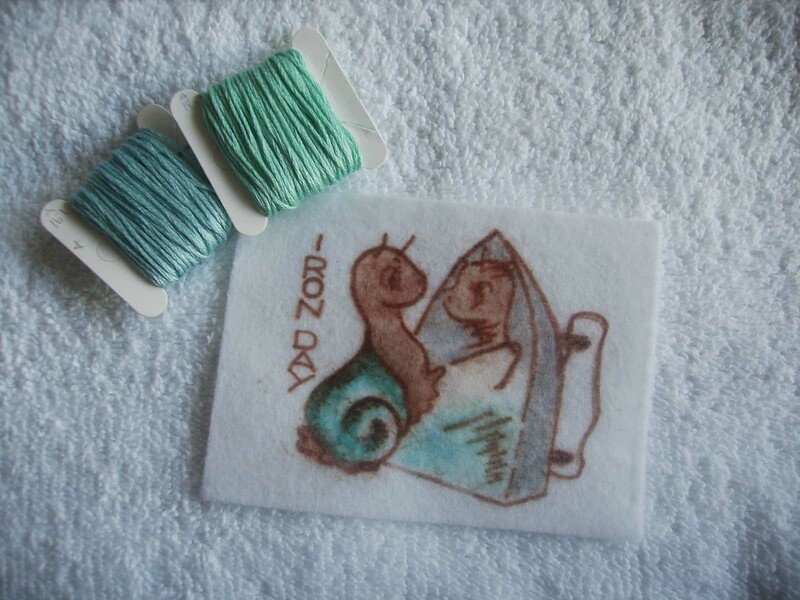 There is a mix of both the blue and teal thread together to outline the shell. Use just the teal thread to accent the shell. 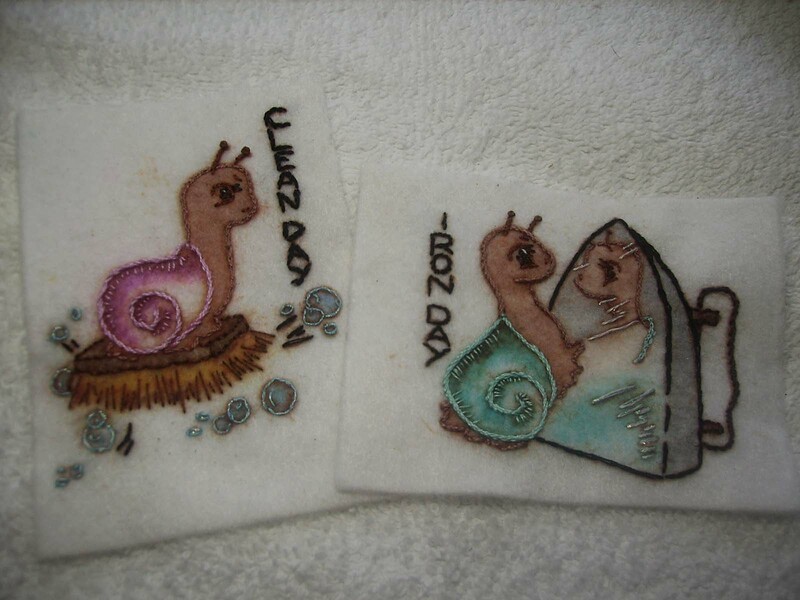 The entire piece uses stem stitch, split back stitch, back stitch, French knots, straight stitch, and satin stitch. 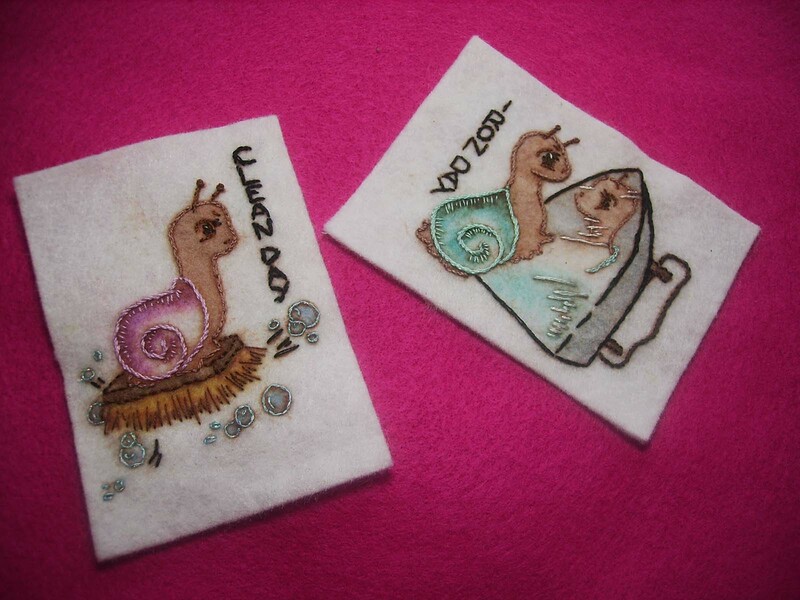 Yesterday, the “Clean Day” snail was made with a little “bling”. 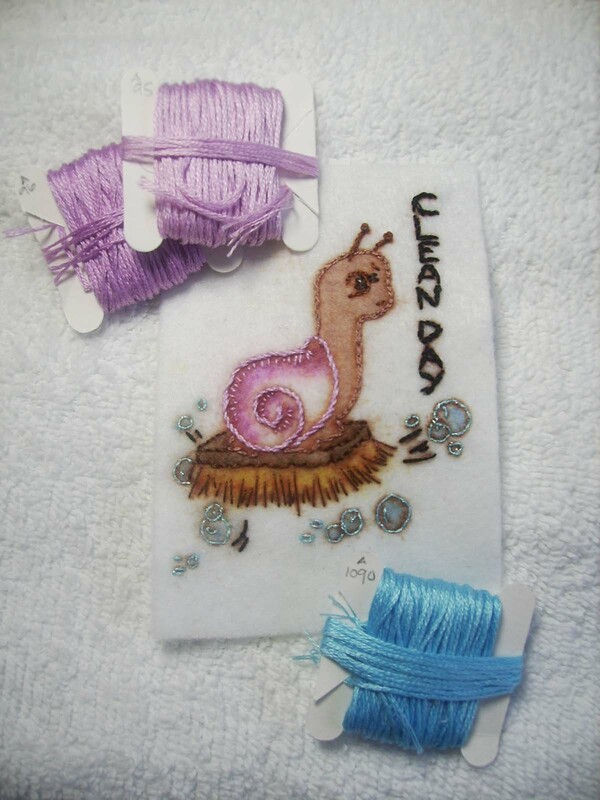 It used a blue iridescent Krienik thread mixed with the blue for the soap bubbles. 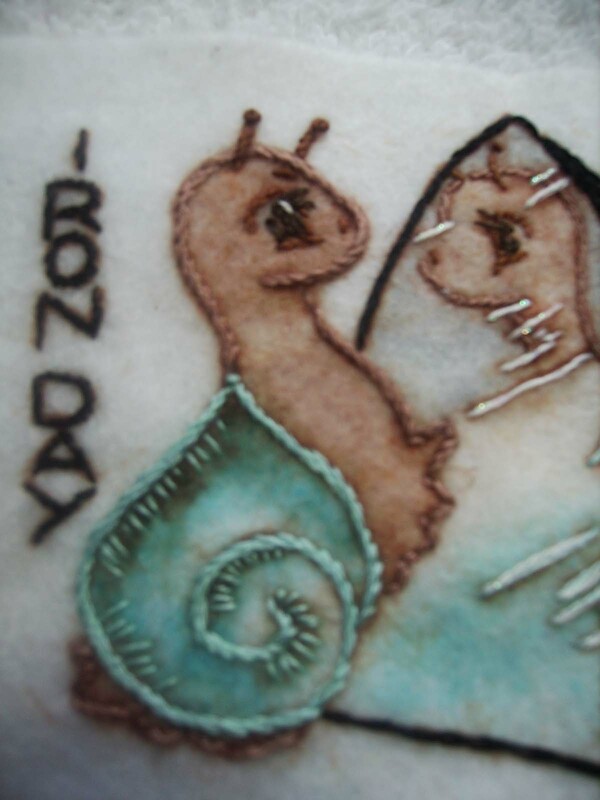 here is yesterday’s “Clean Day” snail with the “Iron Day” snail on the pink background that they are destined for. They are going to be most bright, cheery and fun! these are adorable and I want to try them. Are you going to make a quilt out of them? What do I use for the background? 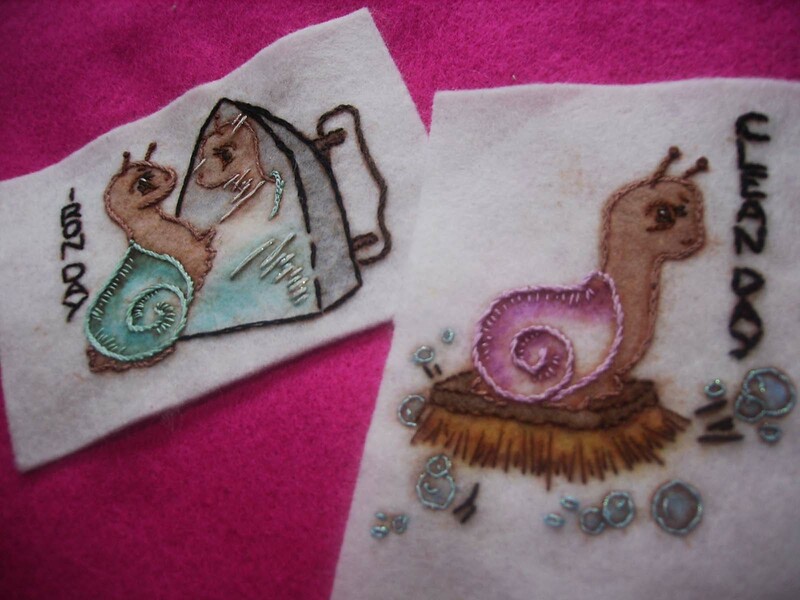 These little guys are going to be stitched onto a purse. They started with an idea in part 1 and I just posted a part 7 that starts cutting the fabric for the main purse lining. I’m making the purse outer fabric out of felt as well. What are you thinking of putting them on?